Even though our existing phone system was fine, the NBN cabling was being placed in our street. It’s going to be a while until we can connect but I thought we’d better get ready. 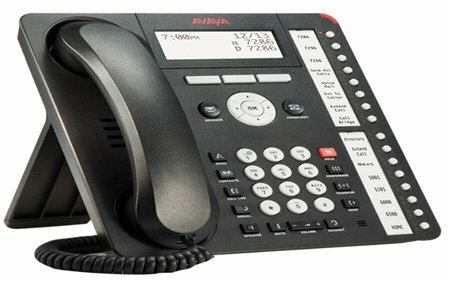 The Avaya PABX system is NBN compatible. This system does the job and we are happy with it. We have two lines coming into the surgery with the capacity to expand to four lines. There is a central unit at reception and handsets throughout the building. It allows us to talk to each other through the handsets and to access the answering machine from any extension. When the phone rings, anyone can answer it and there are two hand-free receivers included with the system. When the NBN is finally completed, this system will be able to connect immediately. The technician will be able to make the connection offsite and there should be no imposition on our business. The customer service associated with the system is very good. When we first set it up, there was one small problem that was resolved quickly. All in all, we’ve been happy with this phone system and look forward to being connected to the NBN quickly and without fuss. I was a little concerned that the help and service desk was only available during business hours. If something went wrong with the phone system over the weekend, it would be a disaster. So far, it has all been fine but it’s still a bit of a worry. If someone calls the practice, they hear the phone ring three times before we hear the call. The system is trying to read the caller ID and that creates a bit of a lag for the person making the call.